Democrat National Committee Chair Tom Perez called Democratic socialist Alexandria Ocasio-Cortez “the future of the party” during the Bill Press Show Tuesday. Ocasio-Cortez defeated ten-term incumbent and House Democratic Caucus Chair Joe Crowley (NY) in a stunning upset last week and ran on an extreme platform of abolishing ICE and Medicare for all. "Twenty-eight years old, never ran for office before, big progressive. Calls herself a democratic socialist, actually, like Bernie Sanders did, she was a Bernie Sanders supporter," Press noted. Perez replied saying that his daughters were excited by Ocasio-Cortez's win. "I have three kids. two of them are daughters. 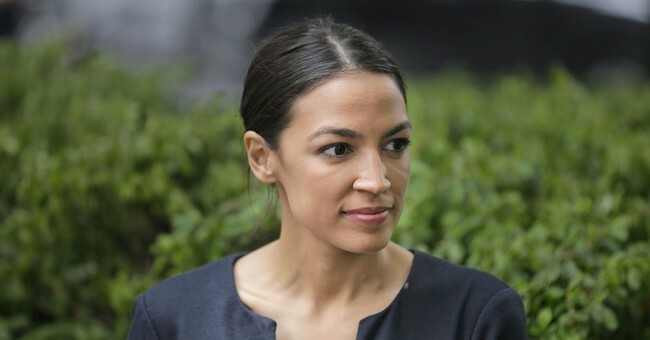 One just graduated college, one who is in college - and they were both texting me about their excitement over Alexandria because she really – she represents the future of our party," Perez said. Perez added that he did have "great respect" for Rep. Joe Crowley (D-NY), saying, "he's a good Democrat ... he's fought the good fight." Perez’s praise for Ocasio-Cortez was milder last week following her stunning primary victory. He would not directly answer a question from CNN’s Chris Cuomo about whether her win marked a shift in the Democratic party last week. He told MSNBC of Ocasio-Cortez’s win that "time will tell, but I think what we've seen in elections across the country are candidates who won by focusing on the issues that were keeping their constituents up at night."